Over the weekend Seth and I spent a lot of time driving around and looking at Christmas lights. We found the houses by using some other lists of Christmas light locations and also found a couple on our own. 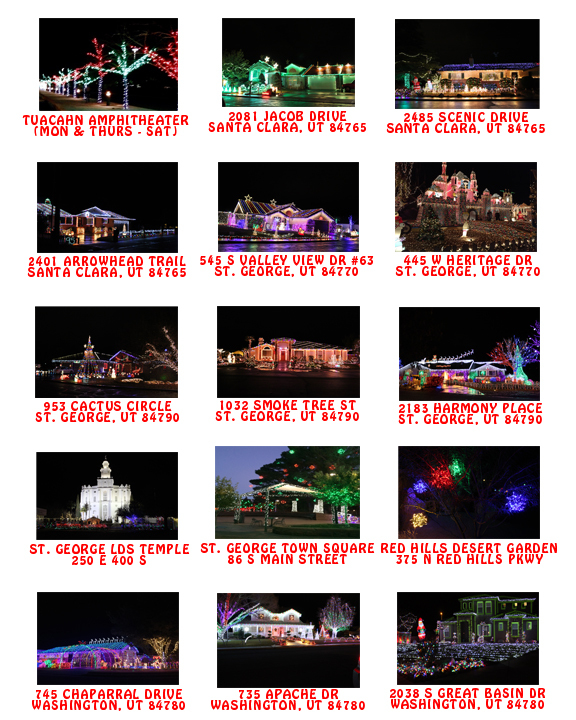 Here's my list of houses/locations you should go look at this Christmas. It's the perfect holiday outing. Click here to download a PDF version.